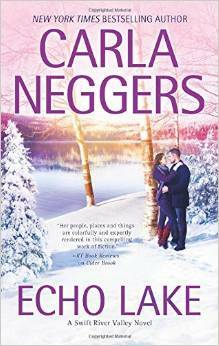 The perfect winter escapist romance read. Romance can be a little challenging with five older brothers and a small town, but Heather Sloan can’t avoid the sparks with agent Brody Hancock. His high school reputation and some mysterious happenings keep throwing them together, and its hard not to fall with them. As much as the characters, you’ll fall in love with the snowy, winter Maine town. It’s a excellent escapists read and perfect for some winter evenings.